Originally developed as a strategy for weight loss, diets based on restriction of carbohydrates were traditionally of concern because of the assumed increased cardiovascular risk if the carbohydrates were replaced with fat. 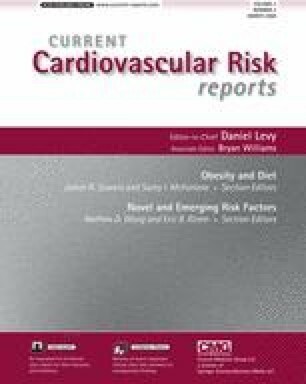 It now appears that such diets are associated with an improvement in markers of cardiovascular risk, even with higher saturated fat intake and even in the absence of weight loss. Various evidence supports this paradigm shift: 1) carbohydrate restriction improves markers of atherogenic dyslipidemia (triglycerides, high-density lipoprotein cholesterol, apolipoprotein B-apolipoprotein A-1 ratio) and reduces the more atherogenic small, dense low-density lipoprotein cholesterol; 2) high amounts of dietary carbohydrates increase de novo fatty acid synthesis and plasma triglycerides; and 3) large, long-term studies of traditional dietary fat reduction continue to fail to demonstrate the predicted improvement in cardiovascular disease risk. Cardiovascular disease is the leading cause of morbidity and mortality in the Western world. It seems appropriate to consider carbohydrate reduction as a useful, if not the preferred, alternative to low-fat diets, which have met with limited success.